MUSE’s Early Childhood Education Program is for children 2.3 years – Kindergarten. MUSE’s unique program is based on child centered, play based learning and principals of individual personalities and community. Our program is centered around passion-based projects. ECE students have opportunities to explore, hypothesize, question and discuss their passions and interests while teachers facilitate, observe and document. Teacher’s observations, combined with student input, create the basis for our unique approach to curriculum, which we call Passion Based Learning. It is the children’s ideas and passions, that guide individual and classroom projects. Our goal is to discover and deeply understand each child, including what they love, and how they learn best. 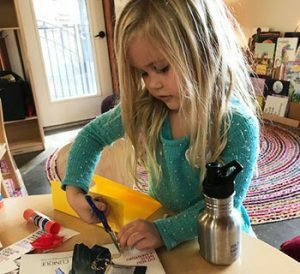 MUSE ECE students are introduced to beginning literacy, math, and science concepts – all in a warm, nurturing environment. Students have weekly enrichment courses including Art, Music, Gardening, Seed To Table, Makerspace, and an Outdoor Education. The placement of children into classrooms is based on the age of the child by September 1st.